Cherry – highly regarded as one of the finest materials in the woodworking industry because of its deep inherent rich tones and colors. This is one of the reasons why a lot of customers also put this material on their lists for an entertainment center project. Cherry is a softer hardwood, no wonder it is preferred by many wood carvers in their entertainment center design framing. Hickory – one obvious feature of this material is that the grains in it are flowing, complete and sweeping, which create stark shades within a single piece of wood that gives a rustic look to an entertainment center’s design. Maple – from maple trees that are famous in the eastern half of the United States, this material has several appealing features such as the grain patterns in it are generally tight and uniform. Giving this material a smooth and consistent overall look. It belongs to the hardwood family and therefore it is sturdy to stand the test of time. Oak – another type of wood that grows abundantly in America and because of this, it has become one of the most commonly used in woodworking. 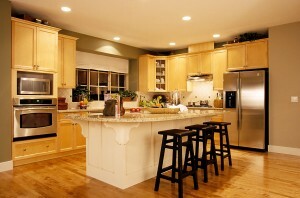 Apart from its sturdiness, oak also comes more inexpensive than other popular equivalents. Oak entertainment centers from Scandinavian Marble Design, for instance are made to withstand a rough treatment. 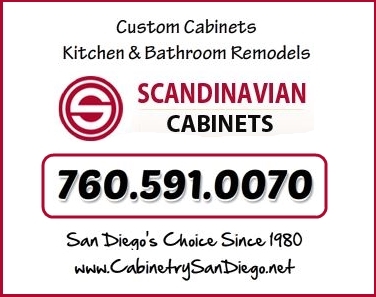 For many years Scandinavian Marble Design has continued to be one of the leading makers of entertainment centers in Rancho Bernardo, CA. Interested? Send inquiries today.